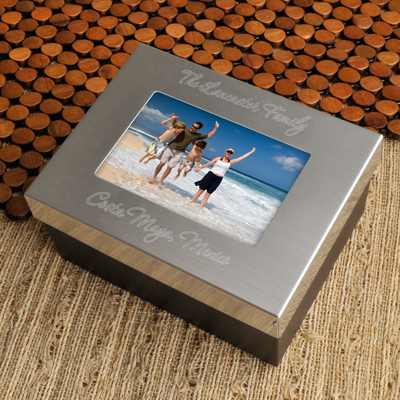 Personalized Family Vacation Lasting Memories Keepsake Box. Keepsake box can last for years to come, the box can keep your treasures safe and sound with this attractive silver-toned keepsake box, just big enough for your beloved photos, artifacts, jewelry, or any other items that are near and dear to your heart. Lid includes a place for your favorite photo.